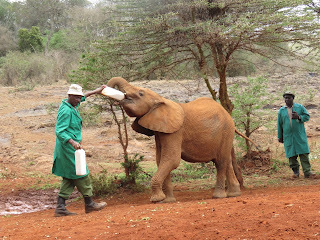 Although massive elephants appear to be robust and tough, they are in fact the most fragile of all animals, according to Angela Sheldrick, the dynamic director of the Elephant Orphanage in Nairobi, a sanctuary of hope, part of the David Sheldrick Wildlife Trust, set up in memory of her legendary father. So when a baby elephant is left alone and stranded in the wilderness when its mother dies from poaching or drought, the helpless infant is desperately vulnerable and terrified. This is a heartbreaking tragedy. Elephants are just like humans. They have a long life span of 80 or more years and a long childhood of dependency. Babies in the wild suckle from their patient mothers for years and orphans are bottle-fed for up to five years, every three hours around the clock, seven days a week by devoted keepers who even sleep in the stockades to care for the babies through the night. 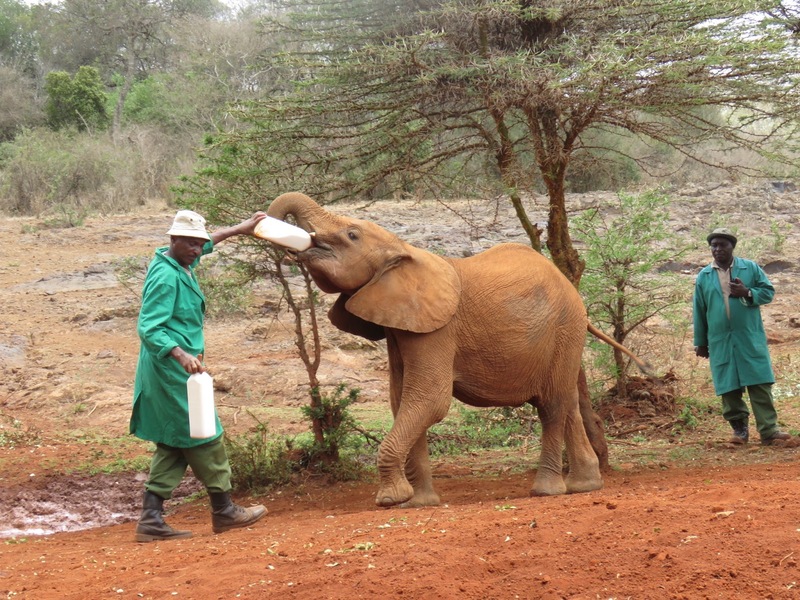 Orphan eli’s are not ready for release to join the wild herds at Tsavo for 10 years. The orphanage is rescuing one new stranded baby every week because of the devastating drought. That’s a lot of baby elephants to care for over the next decade. 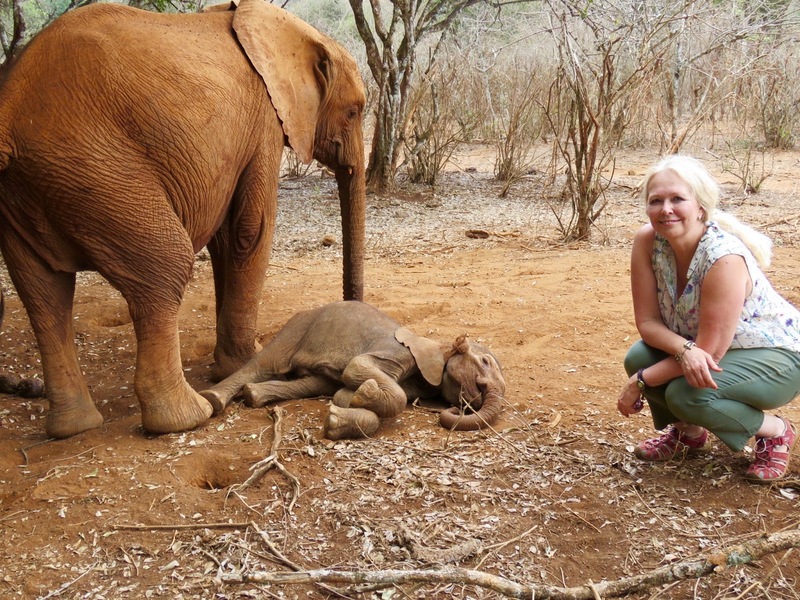 People who love elephants can foster an elephant baby on the Trust’s website. 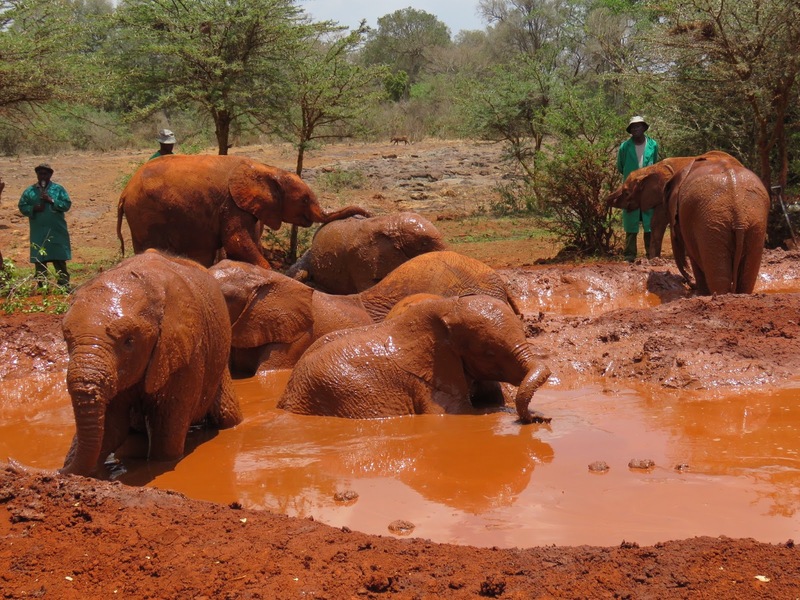 Visitors from around the world to the famous orphanage watch in sheer delight as the adorable babies drink their bottles of milk and then frolic gleefully, slipping and sliding, splashing and thrashing, in the rust-red mud. Angela says wallowing in mud is the equivalent pleasure to humans enjoying a pampering spa! I was lucky to meet the tiniest elephant I’ve every seen, three-week old Pili. His name means ‘pepper’ in Swahili because he was rescued clinging to a pepper tree after falling in the river in the Maasai Mara. Quivering and shy, Pili now sticks close to the larger female baby eli’s, who encircle him protectively. Elephants are so nurturing they will adopt babies from outside their herd and even other species of animals. At another Animal Orphanage inside the Nairobi National Park, the rescued babies are mostly big cats. These majestic apex predators are sadly reduced to lazing away their days in enclosures and being handfed chunks of meat, instead of hunting. Rescued as babies, they have been raised in captivity and would be incapable of fending for themselves in the wild. 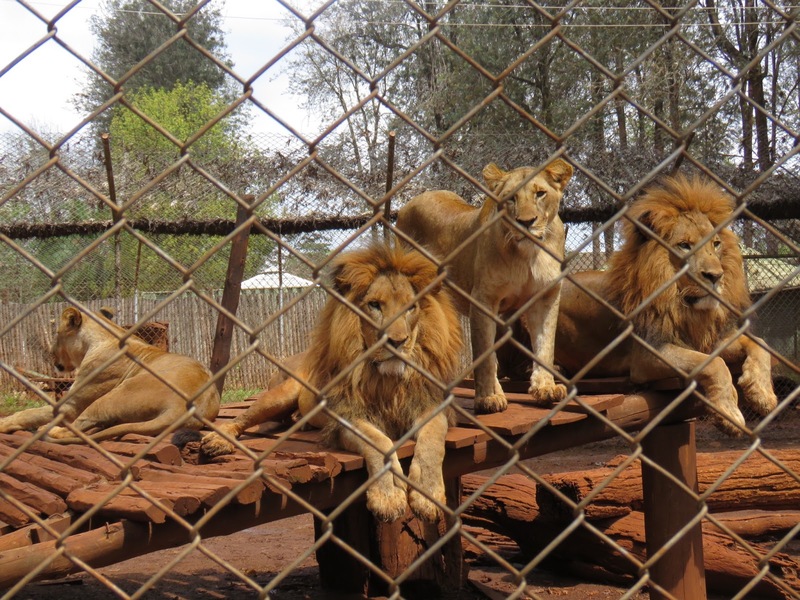 I discover that lions, unlike elephants, do not care for orphans outside their family group so the ferocious lion and lioness must be kept away from the lonely little cub in separate enclosures or they would kill him. Seeing these magnificent, powerful animals behind wire mesh, instead of roaming the plains, tugs at my heart but I realise it’s a better alternative than them dying. 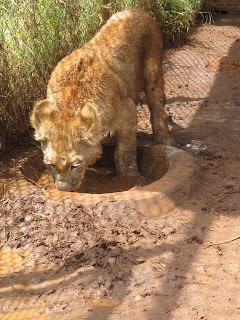 Most of the big cats have been victims of the drought caused by climate change, which is caused by human pollution. Tragically, the disruption to nature usually leads back to us humans. The elegant cheetah with its distinctive streaks under the eyes, is the fastest of all the big cats with their long, greyhound-like legs. 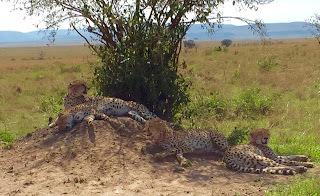 I remember seeing a family of cheetahs relaxing in the shade of a tree on the Maasai Mara last year, looking so proud with disdainful superiority in their ability to reprimand any foolish human with one swipe of a powerful paw. 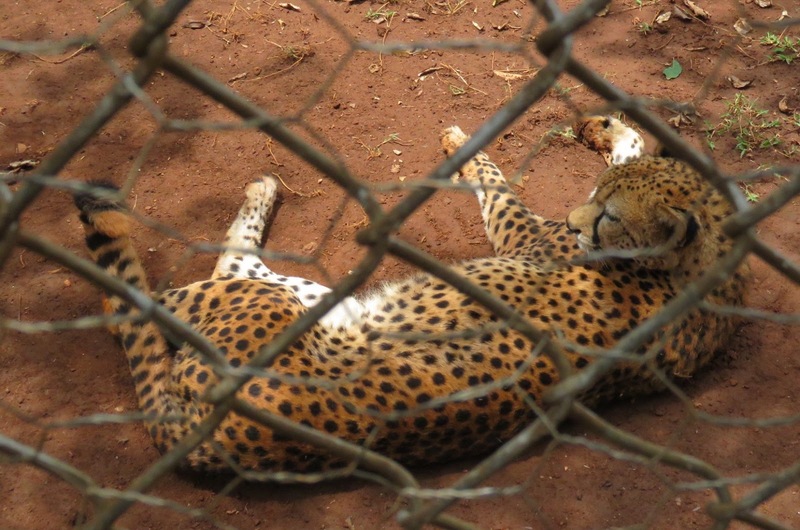 However baby ‘Derick Duma’ was a sick three-week old cub from Wajir when taken into the orphanage in 2014. The keepers say he cried through months of painful injections, but seemed to know they were helping him to recover. Derek became one of the friendliest cheetahs and loves his animal toys. 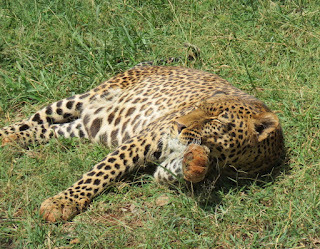 Leopards are beautiful with their profusion of spots. Little Talek joined the orphanage in 2006 as a two-week-old cub after being found all alone and crying pitifully near the Maasai Mara. He was hand reared, drinking milk from a bottle, and soon started eating steak mince. 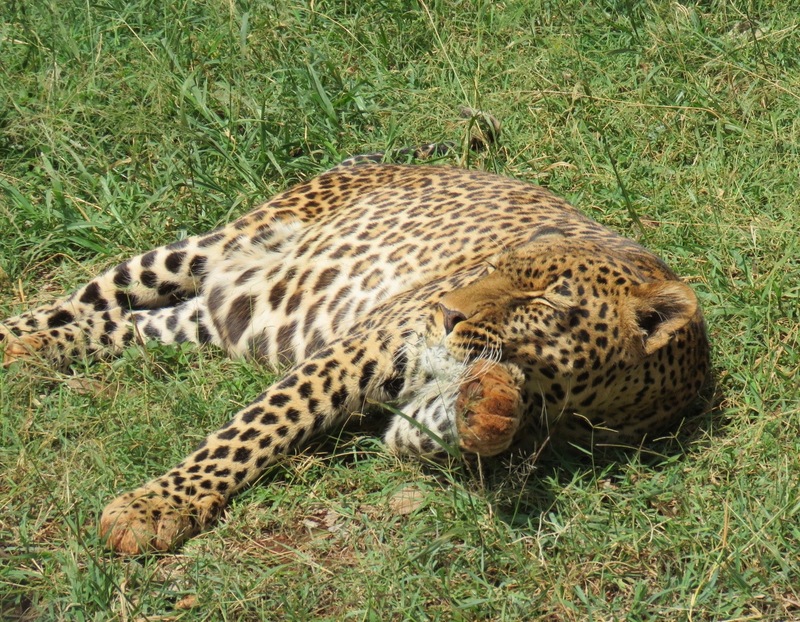 Now he is a beautiful, fully-grown leopard affectionate with the keeper who has cared for him since a baby. Sandy McDonald, an eloquent, compassionate woman, living in Melbourne Australia, originally from Zimbabwe, read my stories and contacted me about her own phenomenal charity work in Kenya. Such is the ease of connectivity through social media and the wonders of the worldwide web. If your heart breaks for animal orphans, the suffering of Africa’s human orphans is beyond comprehension. Sandy’s research revealed the unimaginable tragedy of one child losing a parent every 22 seconds to HIV-AIDS and the staggering figure of 40 million babies and children abandoned and orphaned across the continent of Africa. Sandy started the charity, Knit-A-Square with the creative idea of recruiting knitters from around the world to knit squares to sew together to make comforting blankets for orphans. 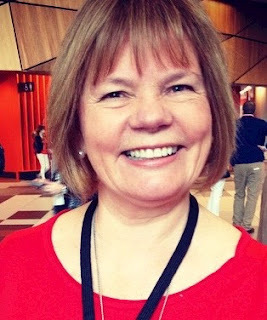 Sandy explains: "I came up with the idea and started the website and the community, but the squares went to my Aunt, Ronda Lowrie in South Africa, who agreed to the idea. She was deluged with parcels of hand knitted squares made with tears and love! Aunt Ronda organised the sorting and stitching of over one million squares and items, and the distribution of the blankets to the children over the last nine years. "At over 72 now, that is no mean feat. She is still working tirelessly to do this work supported by the worldwide community." Sandy launched CreateCare GLOBAL and now supports the Kenyan orphanage, Rafiki Mwema, which cares for and rehabilitates damaged children, who have been the victims of sexual abuse. Watch Sandy’s enthralling TED Talk and be touched by her passion and astonishing work that has taken off from a humble idea of providing comfort to homeless, parentless desperate children. For animal and human babies who suffer cruelty, it restores faith in humanity to know that nurturing, protective love is a powerful healing force. Labels: Animal Orphanage, David Sheldrick Wildlife Trust, Elephant Orphanage, Nairobi, orphans in Africa.